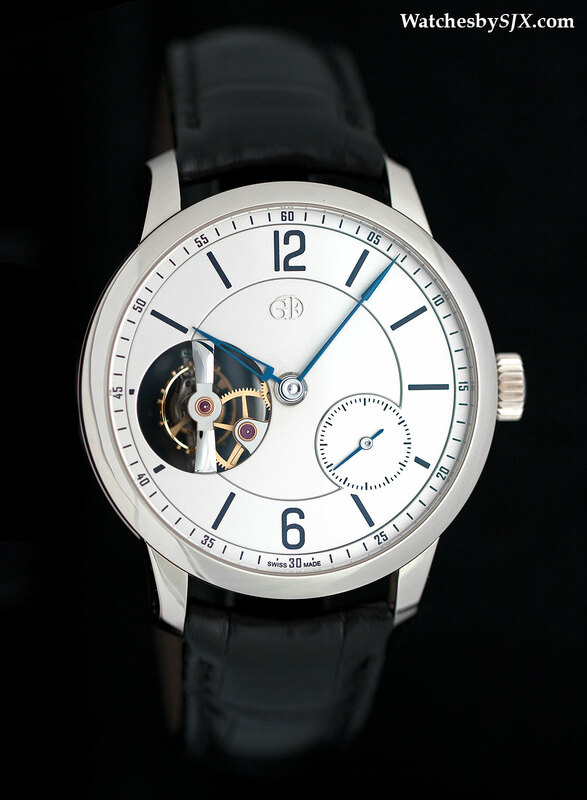 Introduced at SIHH 2015, the Tourbillon 24 Secondes Vision is not instantly recognisable as a Greubel Forsey wristwatch, lacking many of the obvious features traditionally associated with the brand. 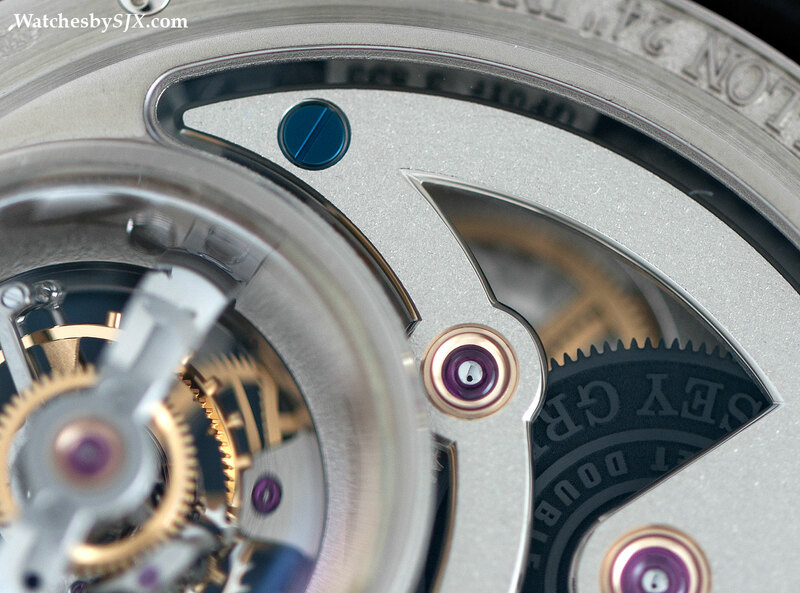 Up close, however, the Tourbillon 24 Secondes Vision is easily discernible as a Greubel Forsey, with all the subtle and overt – and extremely expensive – finishes that the brand is fond of employing. Instead of the large, applied markers made of solid gold typical for most Greubel Forsey watches, the Tourbillon 24 Secondes Vision has deceptively plain baton markers in a dark, dark blue. But these markings are not merely printed, instead the dial is first engraved with the markings, which are then filled with vitreous enamel and baked in an oven. Champlevé enamelling, as the technique is known, results in markings will last forever, unlike printed markings which can fade or deteriorate over time. 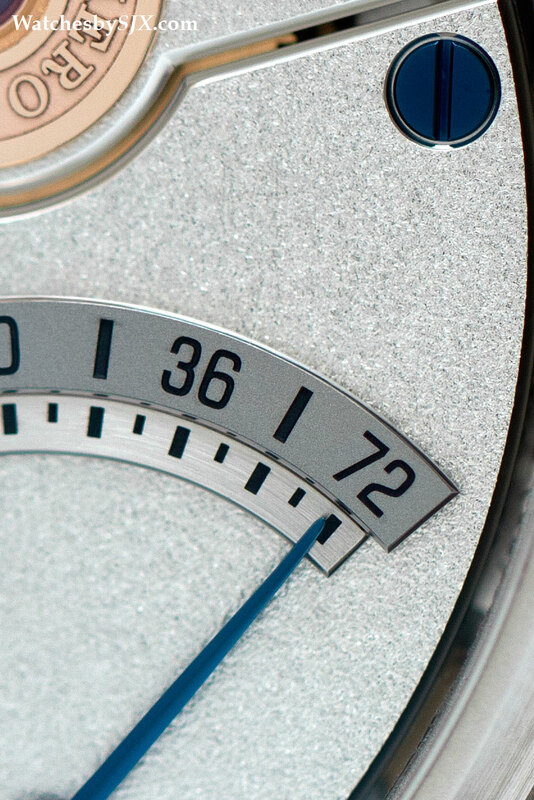 Enamelled dial markings are almost never found on modern watches, though they were common on high-end watches of the past. 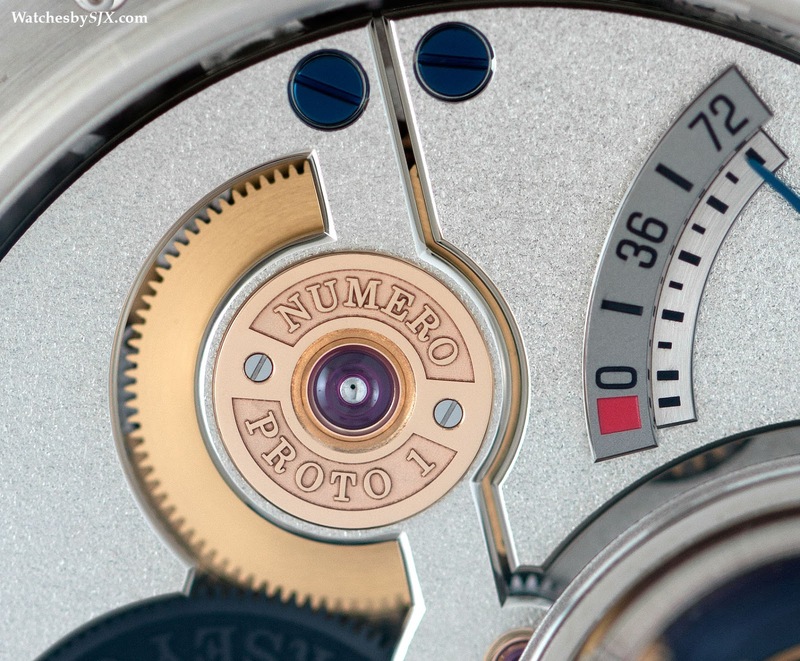 The dial itself is made of solid gold with a frosted finish, and made up of two pieces. 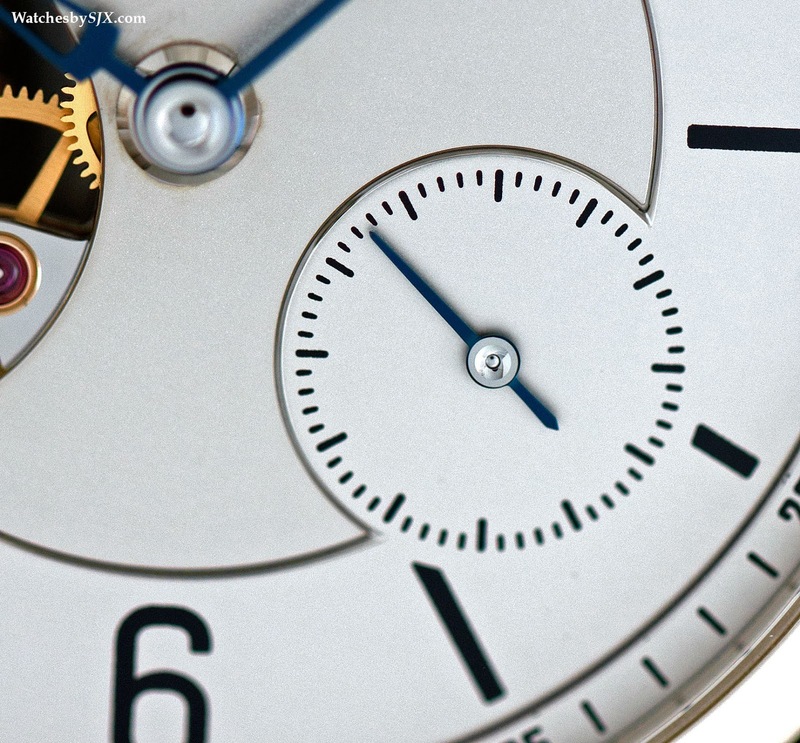 The outer segment of the dial (with the hour markers) sits a hair’s thickness above the central part of the dial. 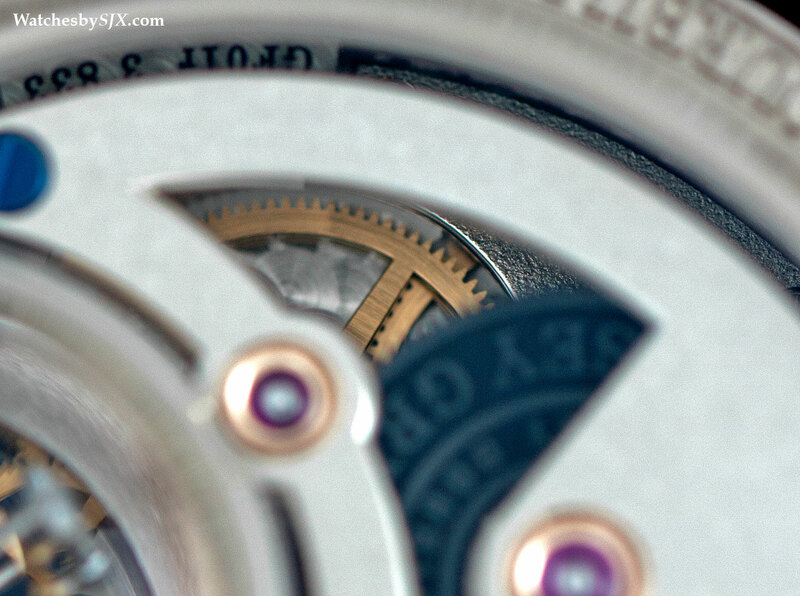 From certain angles the finely polished bevel of the outer dial segment is visible. Equally elaborate are the hands, which are made of blued steel. 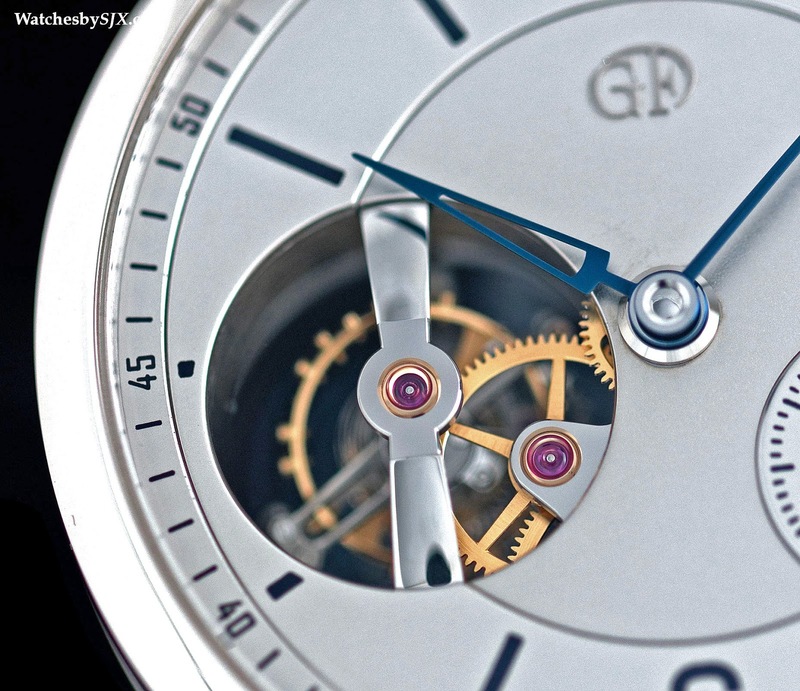 The central axis of all the hands, where it is pinned to the dial, are gently concave and mirror-polished. While many Greubel Forsey watches sport a bulge in the case band to accommodate the tourbillon, the Tourbillon 24 Secondes Vision features what Stephen Forsey terms “vertical asymmetry”. 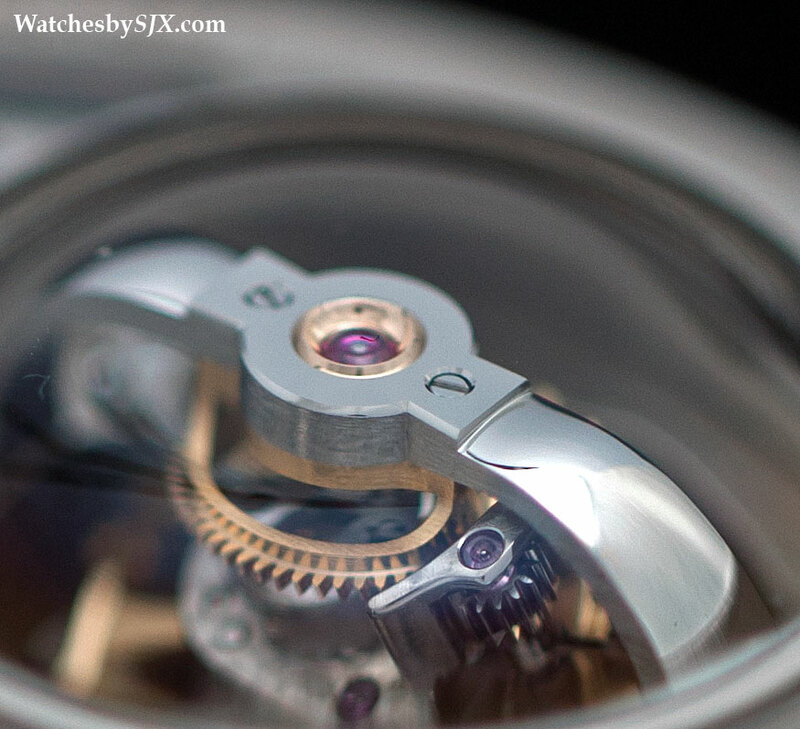 The tourbillon is set deep into the case, with a sapphire bubble on the case back so that it fits. 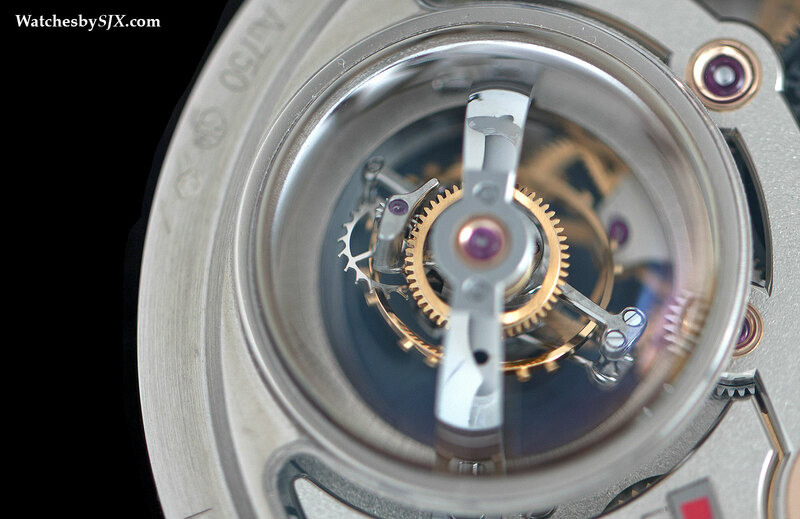 This means the tourbillon is not particularly prominent in the front, though the large steel bridge that holds the carriage is masterfully polished. The attention to detail is more evident on the back, with the movement constructed and finished in Greubel Forsey style. The bridges are frosted, with wide, polished bevels all round. Even the base plate hidden beneath, is similarly finished, a detail that can be admired, barely, through the gaps in the bridges. Set on the bridge is a power reserve indicator, formed by two inlaid, semi-circular plates. Both are thick, brushed on the top, with bevelled and polished edges. It is a tellingly costly way to finish a minor component. The arched tourbillon bridge is a work of art, with rounded, mirror-polished arms, with a flat top that ends in deliciously pointed corners. 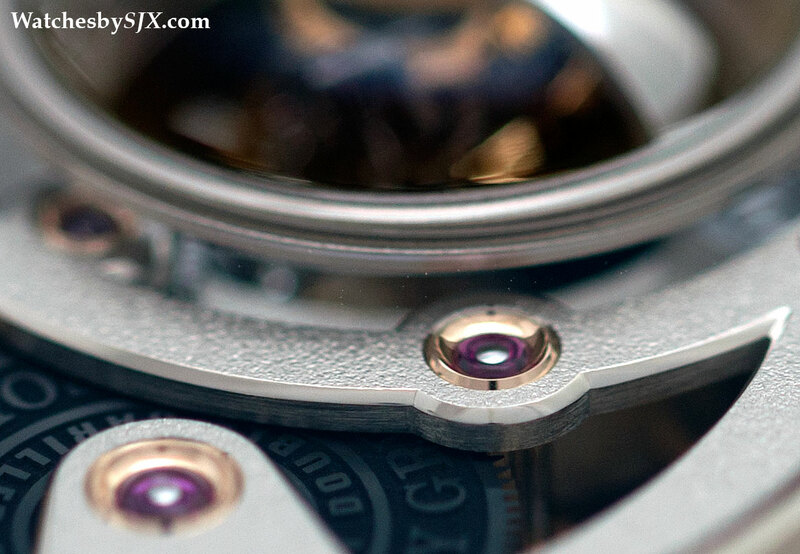 All the text on the back, found on the rim of the case back, on the barrel cover and bridge, is in relief, a feature found on all Greubel Forsey watches. This is a matter of aesthetics rather than function, but the heavily inset relief text give the words a sense of permanence. 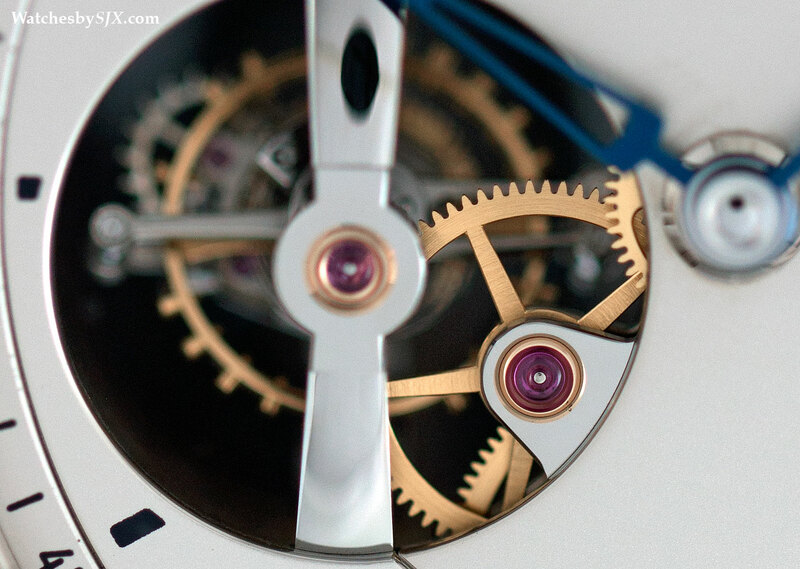 Though it is a new movement, the tourbillon found inside is an existing construction. 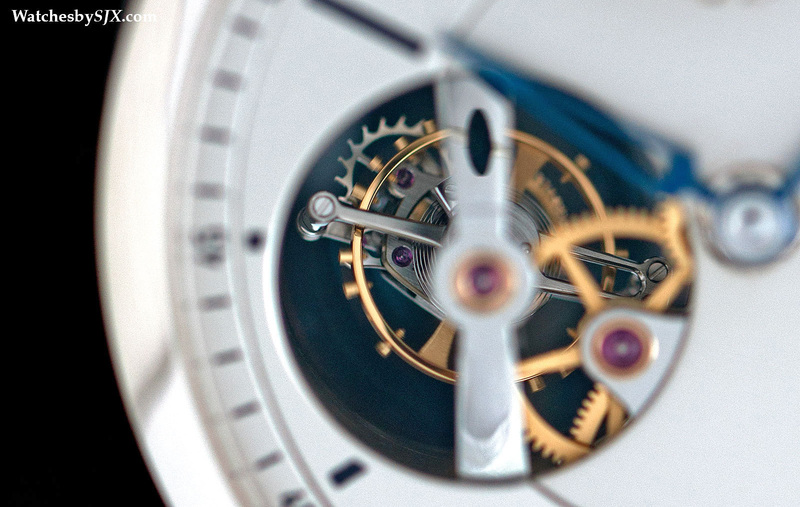 It is a high speed tourbillon, making one rotation every 24 seconds, set at an incline of 25 degrees. 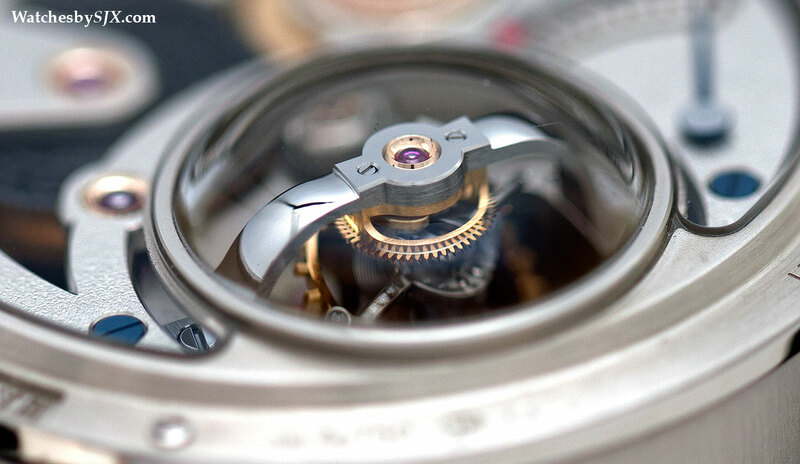 According to Stephen Forsey, the combination of the inclined cage and high speed allows it to compensate for gravitational errors in multiple positions while on the wrist. Dimensions The Tourbillon 24 Secondes Vision is just over 43 mm in diameter, making it a large watch by most standards, but a relatively small Greubel Forsey. 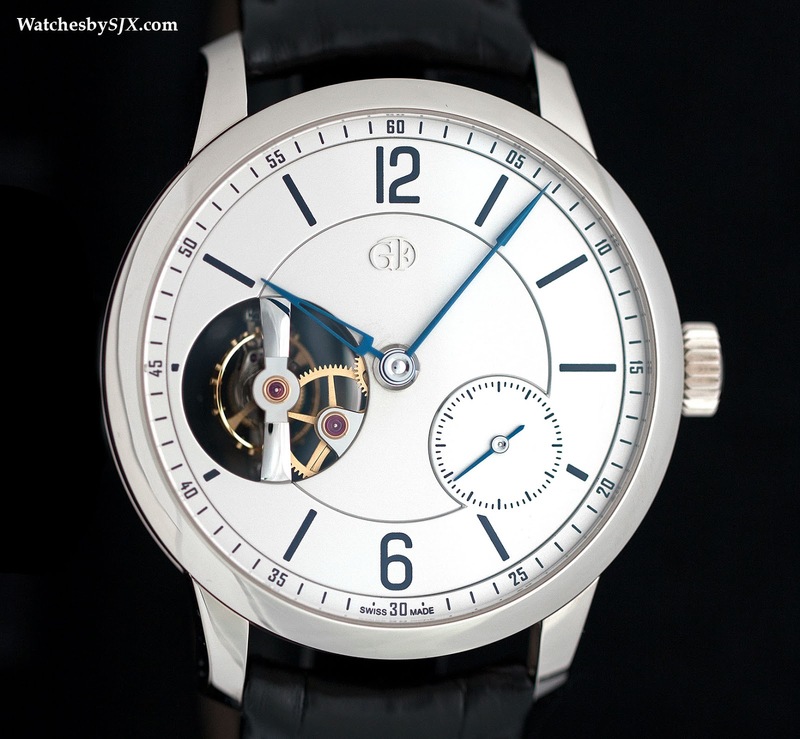 Most Greubel Forsey watches are 1 mm larger, a small measurement but significant on the wrist, due to the larger volume overall. And many have a bulge on the case that exaggerates the size. And measuring just under 14 mm thick (without the sapphire bubble on the back), the Tourbillon 24 Secondes Vision is also the thinnest Greubel Forsey to date. 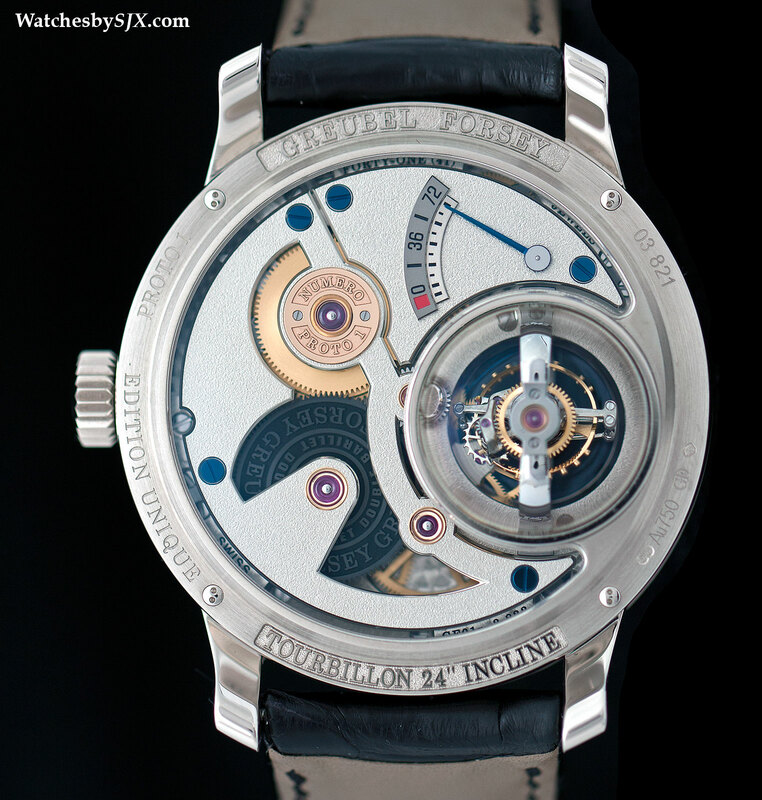 The Tourbillon 24 Secondes Vision costs 290,000 Swiss francs, equivalent to about US$302,000. 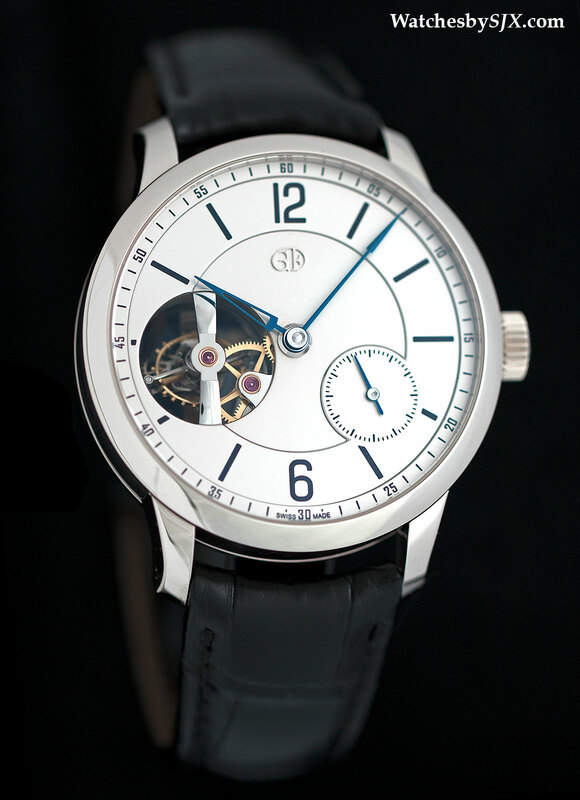 That makes it the most affordable Greubel Forsey by about ten percent. 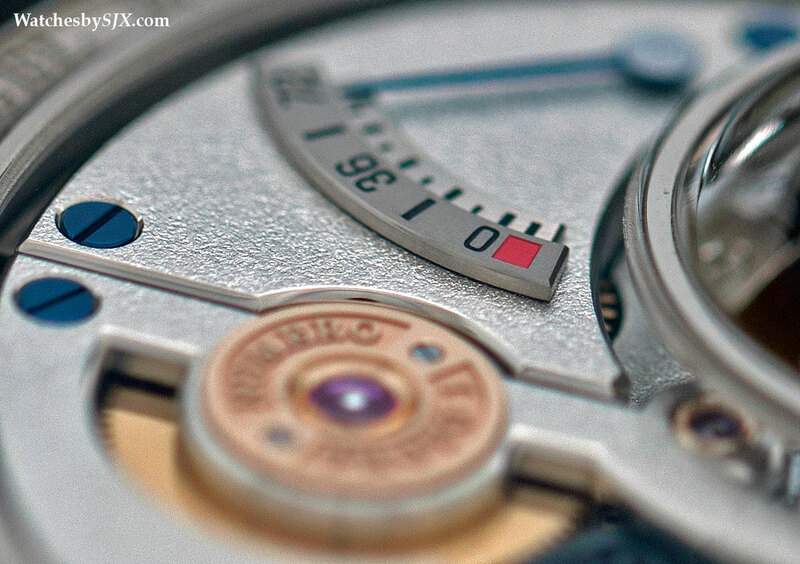 The larger question looms, are Greubel Forsey tourbillons worth it? While there are other brands producing impressive exotic tourbillons (Jaeger-LeCoultre comes to mind), none are executed as elaborately as a Greubel Forsey.